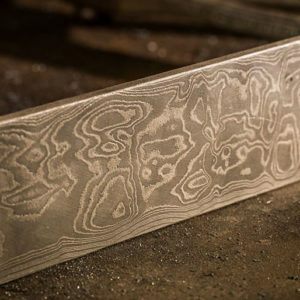 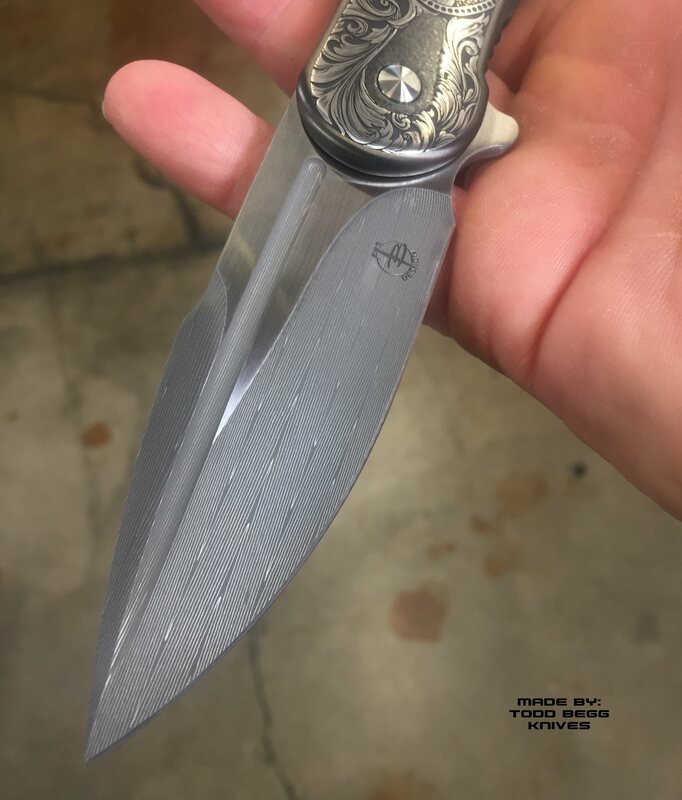 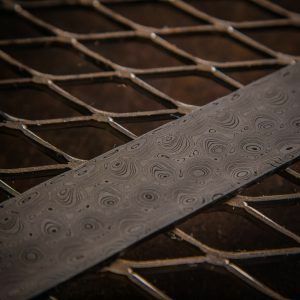 We make Herringbone Pattern in Stainless, Carbon, Mokume and Damtanium. Stainless herringbone is made with 200 layers of AEB-L and 302. 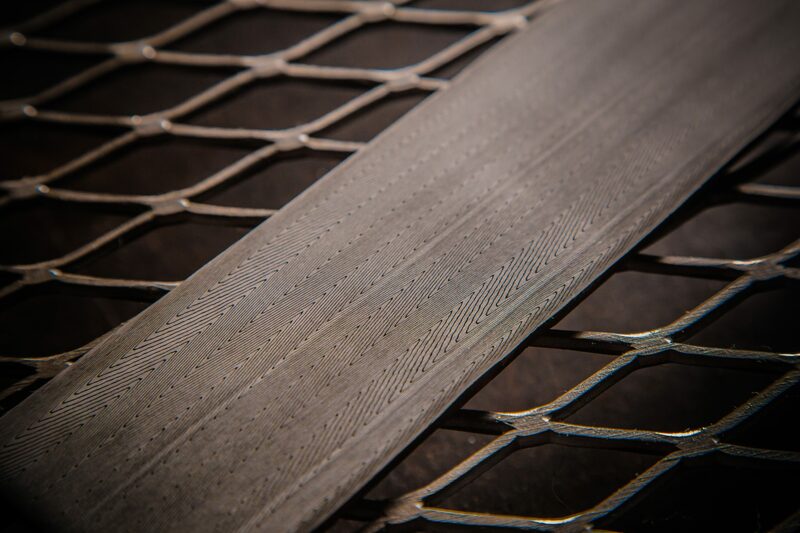 Carbon herringbone is made with 200 layers of 1075 and pure nickel 201. 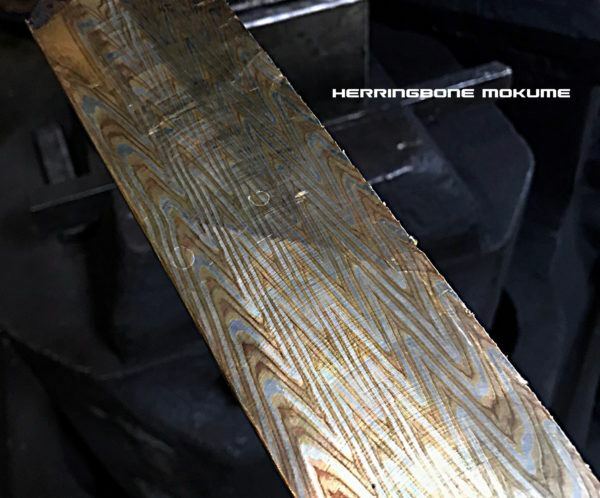 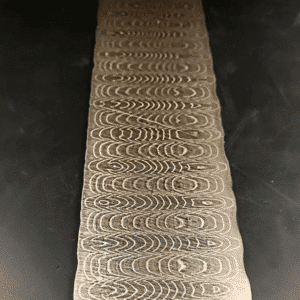 Mokume herringbone is made with 200 layers of copper, brass and nickel-silver. 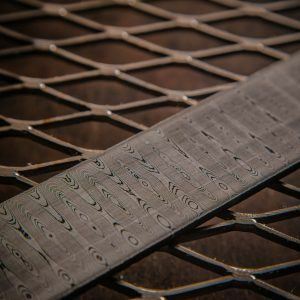 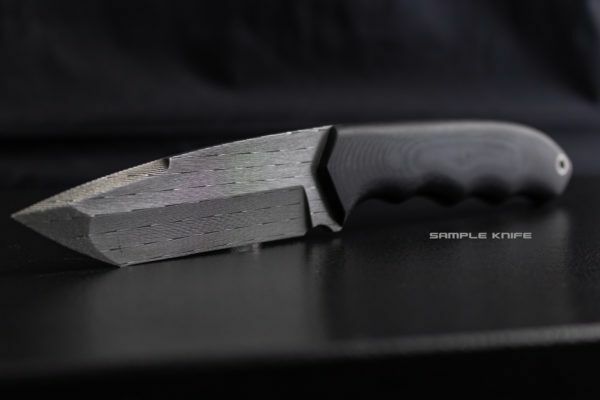 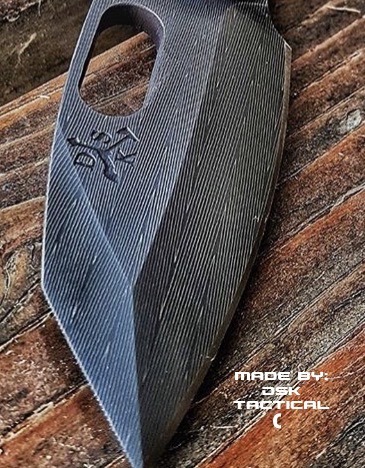 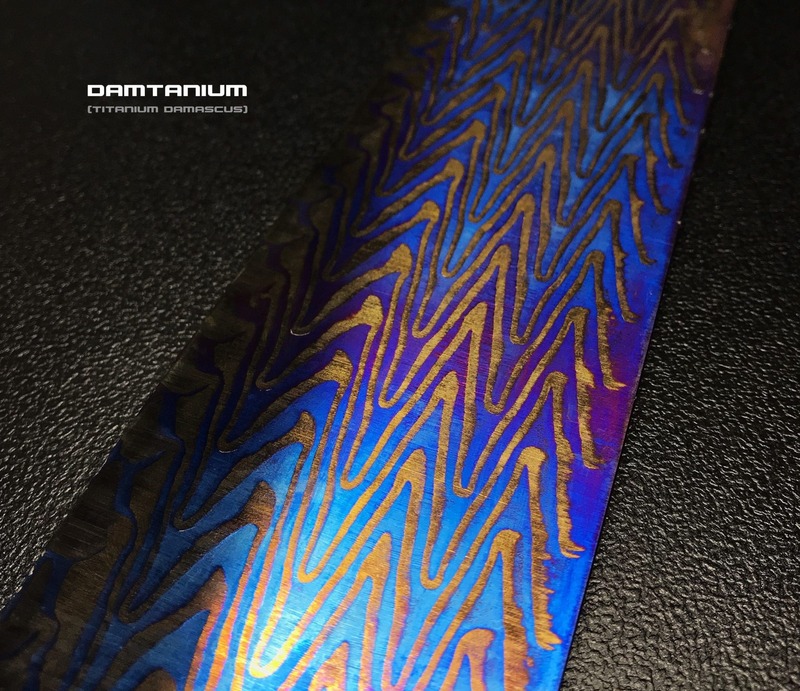 Damtanium herringbone is made with 180 layers of grade 2 and 13-11-3 titanium.